What is Russia's evil plan? Vic Batista: Let's pick up with Ezekiel 38:10. "Thus says the Lord God: 'On that day it shall come to pass that thoughts will arise in your mind, and you will make an evil plan.'" Nathan Jones: That's verse is talking about a leader titled Gog from Russia. People today wonder if Gog could be Vladimir Putin, the current president of Russia. Or, maybe he's a demon who has possessed someone. It could be. All we know is that God designates this leader as Gog. Gog forms an evil plan. He wants to lead Russia in a coalition of nations against Israel to plunder it of its wealth. Israel has tremendous natural gas reserves, a good economy, and the diamond trade goes through Israel. So, Gog wants to get this plunder. Like you read, it's an evil plan. Gog's plan in verse 11 goes, "You will say, 'I will go up against a land of unwalled villages; I will go to a peaceful people, who dwell safely, all of them dwelling without walls, and having neither bars nor gates.'" Then verse 12 continues, "to take plunder and to take booty, to stretch out your hand against the waste places that are again inhabited, and against a people gathered from the nations, who have acquired livestock and goods, who dwell in the midst of the land." Now this is Gog's plan — He's coming to loot Israel. It's fascinating in those verses that we just read how it talks about Israel being a peaceful people. The people of Israel are back in the land and they are living unsuspected. They have rehabilitated a desolate land back to being fruitful again. As we talked about in a previous segment, after the Romans destroyed Israel in 70 AD, they left the land desolate. It became a desert and parts were swamps, but overall it was just unlivable. Some talk about Palestinian people living there, but in truth there were actually very few people living there over the centuries since. It just wasn't worth living there. When the Jews came back in the early part of the 20th Century, they began the long, hard process of rebuilding Israel. The Jews drained the swamps. They took back the desert by using drip irrigation to bring it back to fruition. The land is very fruitful today. Israel is actually considered the breadbasket of the Middle East. Vic Batista: Think about how incredible these prophecies are! Here in Florida we have Lake Okeechobee, which is the second or third largest lake in the US. It was created by the Marine Corp from what I understand. The years and the time that it took for the Marines to complete such a project. Likewise, here the whole nation of Israel is now a garden once more, just as God had prophesied was going to happen. Nathan Jones: The same here in Texas. We only have one lake that's natural. All the other lakes are man-made. It takes a tremendous amount of work to make a lake, as you can imagine. With Israel, the Jewish people started showing up, and they starting building their kibbutzs and they looked around and the land was like a desert while in other parts there were swamps. So many of the early Jewish resettlers died from malaria and other diseases and the back-breaking work. But, they did it, though it took decades. Just go to Israel today and you can see that it's like a garden. This is a direct fulfillment of this prophecy in Ezekiel 38. It just blows my mind every time I read this! Vic Batista: That is awesome, and very exciting! That's why we get so excited as we read these verses, because we see all these things happening right before our eyes. When one reads this verse, they're like to ask, "What is he talking about?" The prophet Ezekiel lived some 2,600 years ago, so he used the country names that existed during his time period. So, let's fast-forward to today. The translation of Sheba and Dedan are the Arab Peninsula nations, such as Yemen and those other nations along the coastline. Basically the verse is saying that Sheba and Dedan are those Arab nations that are distantly across from Israel. Considering the merchants of Tarshish reference, at that time period Tarshish was considered the end of the world. Some translate Tarshish to be Spain. Others say it is England. But, basically for the Jewish people of Ezekiel's time, Tarshish was the end of the world. Tarshish also has young lions, in other words, their colonies. That might be a reference the New World colonies found in North America and South America. They might be the young lions. These would be the countries that were created out of the Spanish merchants, or the British merchants, or both. They would then include the North American countries such as the United States and Canada and Mexico, and the South American countries, as well as Australia. Those nations are likely the young lions, though the passage is ambiguous. This verse is also saying that the rest of the world sees Russia leading this coalition against Israel, but does it say, "Stop!" or "You can't do this or we will fight you!" No, they say to the effect, "Oh, are you coming to take away all their money?" And that is all they say. They don't do anything to help Israel. They don't get involved. Basically, the world sits it out and lets Russia attack in an attempt to destroy Israel. Vic Batista: That scenario reminds me of Revelation 11. Moving forward in time, we read about God's Two Witnesses and they are going to be killed and left dead on the streets for three days. People are just going to look at their dead bodies, but they won't get involved. Nathan Jones: Yes, the nations won't get involved. It's a satanic thing that the world hates the Jewish people. They hate them with a passion. They hate them because they are God's people. They hate them because they gave us the Bible. They hate them because the Messiah came from their bloodline. They hate them because God still has a purpose for Israel in His coming kingdom as a priestly people once they have given their hearts to Him. Satan is trying to thwart God's plan. We live in the world system that burns with a tremendous hatred of the Jewish people. The United Nations is obsessed with Israel. You could have dictators slaughtering their own people, and yet the United Nations remains totally bent out of shape if Israel merely wants to build a house on their own land. It shows how satanic this hatred is. The world hates Israel, but they don't really want to mess with Israel. So, when these nations see Russia and this coalition coming against Israel, the nations just say, "Well, alright, we're not going to get involved. Good luck with that." The reason for the malaise? Basically these nations want Russia to destroy Israel. It shows that Israel will have no nations to turn to soon for help, not even the United States. Vic Batista: People always ask where America is in Bible prophecy? You hinted there it is in verse 13. What are your thoughts regarding that? Nathan Jones: I think you are correct that the United States isn't in Bible prophecy. The whole new world system wasn't in Bible prophecy. Ezekiel 38:13 may be the closest we get to the U.S. when it talks about the young lions, these descendants of the merchants of Tarshish from the end of the world, and that's about it. When the Tribulation does come, the Antichrist creates a one-world system. So, wherever the United States is in Bible prophecy, we know that it will be part of the one-world system. We know that it will be a nation that supports the Antichrist. And, we know that it will be a nation that will hate Israel and turn against it and try to destroy it with all the other nations of the world at the end of the Tribulation. That's about it for the United States being in Bible prophecy. Vic Batista: We stick to the Bible. If the Bible doesn't say something, then we don't say it. If the Bible is silent, we stay silent, right? Nathan Jones: Exactly. There are so many people out there trying to fit the United States into prophecy. They come up with some crazy ideas. They look at the 21 judgments during the Tribulation and they say those must apply only to America because America has done this or that. Or, the Harlot of Babylon from Revelation 17-18, that must be New York City. They come up with these guesses. But, we've got to let the Bible speak for itself. Where it is clear, then say, "Yes." Where it is unclear, say, "I don't know." Vic Batista: Absolutely. That is a good point, because so many people are being misled because there is so much confusing information about eschatology. I always say to people to remember YouTube is not always right. Nathan Jones: Really? You can't believe everything on the Internet? I didn't know that. Vic Batista: We use it as a resource. I get calls during the week from people telling me what they read about Bible prophecy from so-and-so on YouTube; what this guy is teaching and what that guy is teaching. I say, "You've got to go back to the Bible. You've got to understand the whole picture, otherwise you are going to be all confused." Nathan Jones: Great advice, Pastor Vic! 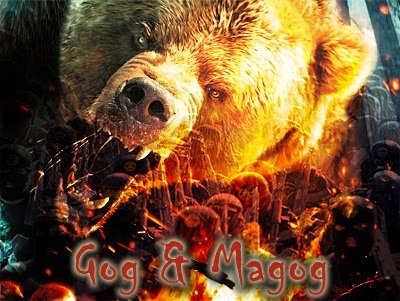 In the ninth segment of our study of the Gog & Magog War of Ezekiel 38-39, Vic and I look at some scenarios as to why Israel will be dwelling in safety unsuspecting.